Concussions are a form of traumatic head injury caused by a bump or blow to the head, or even a subtle, sharp jolt. While their symptoms can seem minor or take some time to appear, concussions carry serious risks and can have long-lasting side effects. Don’t be dismissive about any form of head trauma: Concussions can occur from even a minor bump, and you don’t need to be knocked out to experience a concussion. If you’ve sustained a head injury during an activity, like playing sports, immediately remove yourself from play and take inventory of how you’re feeling. Be on the lookout for early and common symptoms of a concussion, such as a headache, dizziness, difficulty concentrating, confusion, sensitivity to light, blurry vision, irritability and nausea, according to The Cleveland Clinic. Some symptoms of concussion might not develop until hours—or even days—after a blow to the head, according to the CDC. Once the individual has been removed from play, consult a medical professional if one is available, or call a primary care doctor to discuss the injury. It’s best to take it easy and err on the side of caution. Resuming physical activity too soon after a head injury can make symptoms worse, make recovery take longer or even cause lasting side effects like post-traumatic headache. Recovery from a concussion takes up to two weeks for many people, or even longer for about 20 percent of the population, according to the Mayo Clinic. Don’t try to rush back into action until you’ve been cleared by a doctor. It’s best to seek medical attention as soon as you recognize concussion symptoms for an exam and diagnosis. Even if you felt well initially after your head injury, visit your doctor if you start to feel any concussion symptoms later. It’s not unusual for the effects of a concussion to be delayed by days or weeks. Post-concussive syndrome can appear even months after your initial injury. Untreated concussions can have serious, long-term effects, including post-traumatic headache and neurodegenerative issues, according to the Mayo Clinic. Remember to give a detailed report of the injury. The health care provider will want to know things such as what caused the injury, how forceful the blow was and if the player sustained any loss of consciousness, memory loss or seizures. Be as detailed as possible in describing when your symptoms appeared and how severe they were; this can help a doctor determine the severity of your injury. You should also mention if the player has had previous concussions. Concussion symptoms aren’t limited to head pain. Sluggishness, clumsiness and just feeling “off” are key indicators that your head injury could be more serious. If a player demonstrates any of the dangerous symptoms associated with a concussion—such as loss of consciousness, a seizure, one pupil larger than the other or trouble recognizing people or places, according to Rush University Medical Center—call an ambulance right away. Even if you don’t feel different immediately after bumping your head, you might still have a concussion and should watch out for the typical warning signs. Nausea, loss of consciousness and head pain are more noticeable symptoms of concussion, while others—like changes in your behavior or personality, or mood swings—can be harder for you to recognize. Concussion symptoms can vary from person to person, and they can emerge or worsen when you engage in physical activities or activities that require concentration. If the child’s parents or guardians are not at the game or practice, contact them immediately to let them know about the injury and suspected concussion. Provide them with any informational materials you have about concussions, and refer them to additional online resources such as CDC’s HEADS UP Resource Center or the Sports Concussion Resources from the American Academy of Neurology. Once you’ve been diagnosed with a concussion, follow your doctor’s prescribed treatment plan. There’s no one “cure” for a concussion, but following your treatment plan will give your brain the time and care it needs. It can take several weeks to recover from a concussion, and during this time you’re especially vulnerable to brain injuries like second impact syndrome—a second concussion before the first one had time to heal. So take it nice and slow. The CDC recommends asking your doctor for guidelines on when you’ll be well enough to drive or ride a bike and return to work. Get plenty of rest and avoid alcohol, drugs and physically demanding activities, and reintroduce things into your routine gradually. 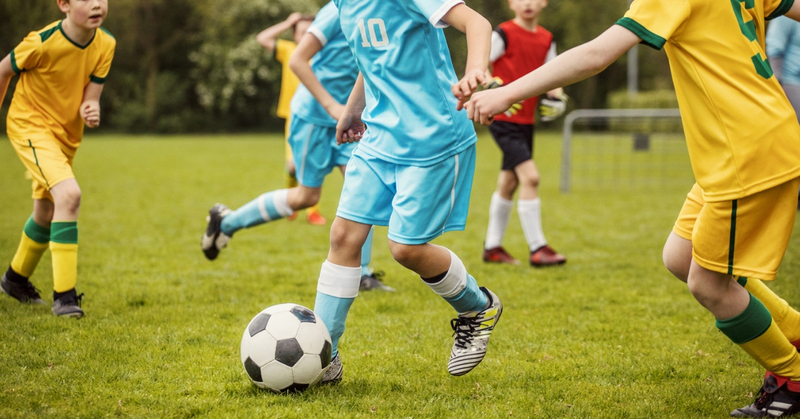 People with concussion can return to playing sports and being active once their concussion has healed and they’ve been cleared by a medical professional. Returning to play should be done with the utmost care. Ease in with light aerobic activities, gradually working your way back, and monitor your concussion symptoms closely during this time.